COWBOYS prop Jordan McLean says North Queensland is desperate to avoid Johnathan Thurston finishing his NRL career with a wooden spoon. 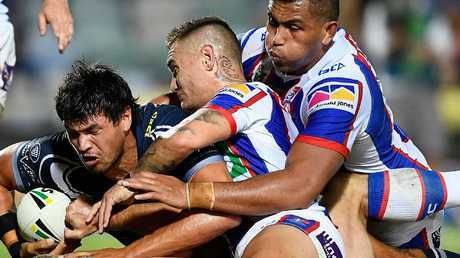 The Cowboys showed there are signs of life in Townsville after producing a comeback victory against Newcastle on Friday night. The club's fifth win of the season helped the 15th-placed Cowboys move two points clear of cellar dwellers Parramatta with five games to play. 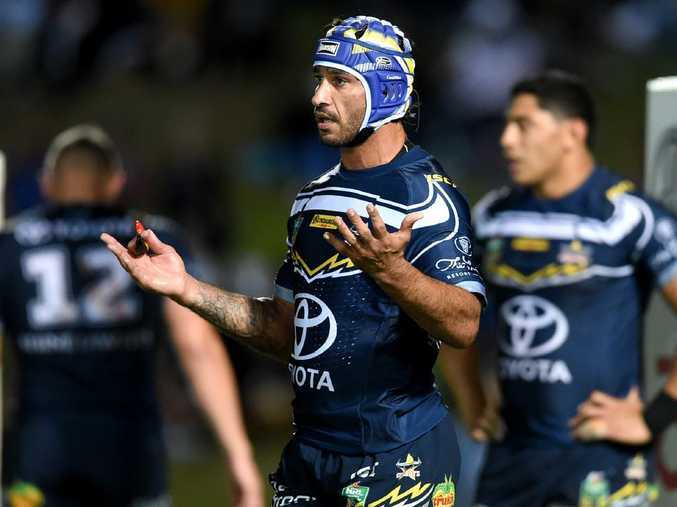 Four-time Dally M Medal winner Thurston's farewell season has turned into a nightmare after the pre-season premiership favourites plummeted out of title contention. After seven consecutive seasons of finals appearances, the Cowboys have imploded in 2018 but McLean said they are motivated to finish with a bang. "We can still go out and play our best footy in these last few weeks and send Johno out on a high," he said. 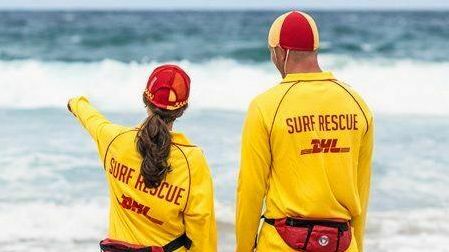 "We have standards and we want to play to those standards. "Johno deserves better than a wooden spoon and hopefully we can avoid it in the last five games we have." McLean's debut season at the Cowboys has so far been one to forget. 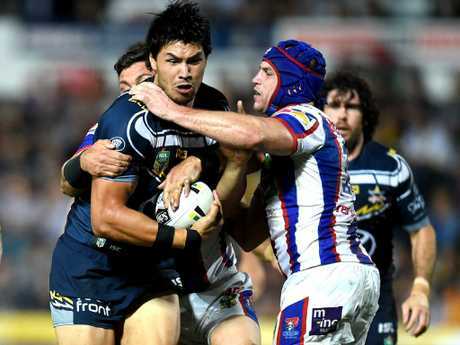 The Melbourne Storm recruit arrived in Townsville with big expectations after playing six Tests for the Kangaroos in last year's World Cup. But the 26-year-old prop suffered a serious foot injury in his fourth match which sidelined him for four months. McLean was in danger of missing the remainder of the season but fought back to return to the paddock against teh Knights and will take on the Roosters at Allianz Stadium on Saturday night. "There were six games to go and being Jonno's last year, that's a pretty easy excuse for me to come back," he said. "I wanted to get back. I've only played four games for this club, I would have liked a better year so to come back and play six games would be good. "I just feel like I need to go out and do my job for the team. We've had a bad patch this year so to get back and help the boys out is what I was keen to do. "It was a pretty dark time when you aren't out on the field. "At the start, they (medical staff) didn't want to put a time frame on when I would be back and I've probably come back a bit early from the first analysis of my injury. "It's going to be tough rolling into the next few rounds, but we can't worry about other teams, we just have to worry about ourselves." McLean punched out 44 minutes in his return, giving Cowboys fans a glimpse of what could have been if he and co-captain Matt Scott (neck) remained fit this season. McLean and Jason Taumalolo will lead North Queensland's engine room in the coming years and coach Paul Green said his Kangaroos star provided an immediate impact in his return. "Jordan was outstanding through the middle," he said. "He got more minutes than I thought out of both halves. "He made a huge difference defensively and I liked the way he moved through the middle."